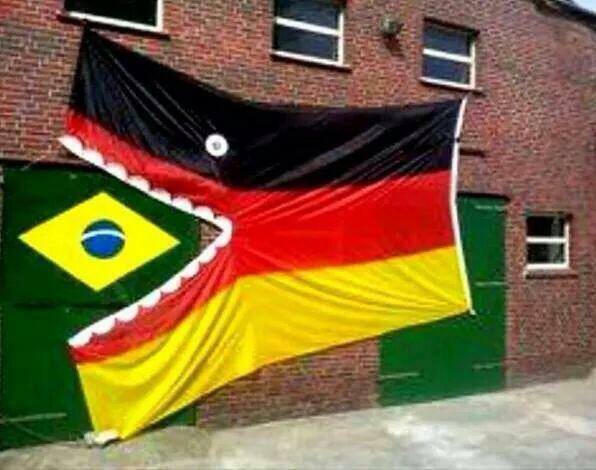 #BrazilvsGermany . This game will be good! A record last 4 at the World Cup. 10 titles, 20 finals appearances and every team has been to at least 3 finals. 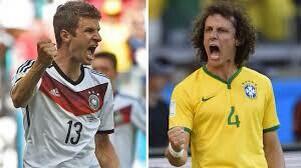 Brazil and Germany up next. Brazil with the traditional yellow kit - the white shorts from the quarters replaced by the blue. Germany are in the red/black away kit. The Brazil fans making clear this is a home match and Germany will have to contest with 11 men on the pitch and thousands in the stands. Germany gain possession and sustain an attack momentarily. But they can never manage a shot on goal. Neither team can hold on to the ball. There is a lot of marching up and down the pitch but little threat of a goal. GERMANY score and it is 1-0. Mueller wide open and tucks away a great corner. 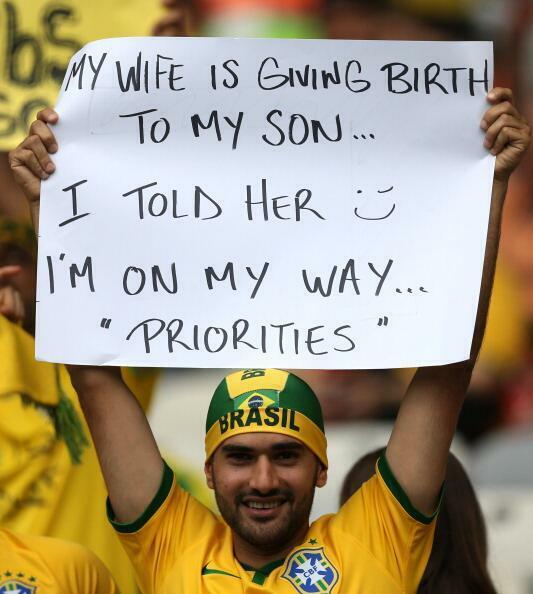 Brazil pay for lightly giving away the ball and a corner. Nightmare start for Brazil. Can they defend and poor forward? They need to find an answer soon. Germany hard to play from behind. Great tackle by Lahm. No foul there. This game is being played like it is in the 80th minute. The pace is remarkable, but can they keep it up? Klose takes over as the all-time leading scorer in World Cup history and Germany leads 2-0. Brazil is in serious trouble. 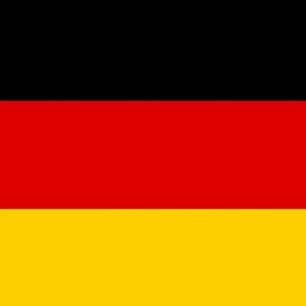 Germany has broken the spirit of a team and a nation. It was too much to ask with two critical players out, but they have surrendered. Oh Jesus. 4-0 Germany just 25 minutes in. Did I say Jesus? I meant to say Jesus. 4-0 Germany. The world is upside down. 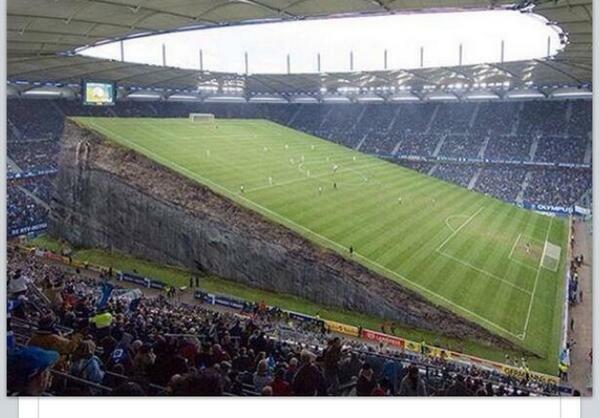 Brazil can not just give up. Germany will continue to score. Brazil has no way back. They have never trailed by 4 goals in any World Cup. They have no path to a goal and no ability to defend. Brazil has never been behind by 4 goals in the history of the World Cup.